Build or migrate to cloud infrastructure with ease. We at Carmatec help you decide on public, private, hybrid cloud solutions while we understand the need of your enterprise. Deploying high available enterprise solutions would require experienced cloud adaptation architecture and expertise which our teams have gained while working on a variety of deployments over many years. We build solutions with Load balancing, disaster recovery site configurations and storage management. Our clients adopt Cloud security solutions, automation and API integration of cloud platforms and technologies adhering to high industry standards. Bootstrapping any technology project is a challenging task. Cloud ready analysis to Cloud deployment requires a special team to analyze your readiness, requirement, training and enterprise integration needs. Carmatec can be your perfect partner to provide the Cloud Consultancy to choose, build and adopt the best enterprise solutions on Cloud. Carmatec having managed numerous levels of operations with different cloud technologies provides flexibility in adapting and designing enterprise application solutions under one umbrella. Our Cloud solutions offering provides end-to-end solutions from Cloud architecture, deployment to Cloud management through our round the clock available operations team. Fast growing business needs require solutions deployed on your Cloud infrastructure at a rapid speed. This involves building culture of DevOps where in your developers work hand-in-hand with Operations team to solve the problems and take solutions to market. Check our DevOps Services to tune your business process. Public Cloud is a multi-tenant, cost effective and long term solution with bare minimum operational costs involved. Using public cloud means operational costs to manage in-house or remote IT infrastructure and staff are minimized to a very large extent. You don’t have to worry about scaling, scheduled maintenance, storage, network and monitoring when you have a large and growing user base using resource intensive applications. Private cloud offers you the freedom of choice to envisage, design and operate your own cloud infrastructure. This is like a cloud in your own backyard. Datacenter architecture can be built in-house with hardware, storage and network equipment purchased or leased from a 3rd party service provider. This is suitable for medium and large enterprises who gives data privacy, security and SLA top priority and would prefer retaining control over one’s IT Infrastructure. 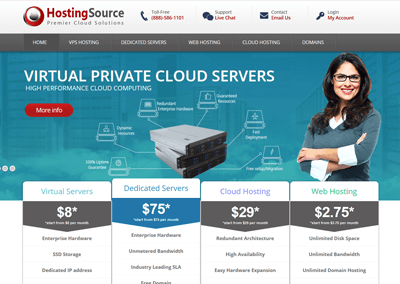 As the name suggests, this one combines the advantages of both private and public clouds. Hybrid model of cloud computing can be used if you have intermittent infrastructure scaling requirements. In this way, you can manage your private cloud and simultaneously use the unlimited scaling and operational capabilities of a public cloud service provider on demand. Carmatec successfully built and deployed a multi region, OpenStack powered cloud infrastructure (infrastructure as a service (IaaS) solution) called RocketCloud to help the client offer various cloud services. Our Cloud and DevOPS engineers integrated processing, storage and networking modules of OpenStack through a RESTful API based front end solution powered by CakePHP framework. Our Cloud Consulting has helped our customers to adopt the technology quickly to offer enterprise solutions to their customers.